In a windowless, 15th-floor courtroom in downtown San Francisco last week, GrubHub was defending its 1099 independent contractor employment model for its delivery drivers. There’s no verdict yet, and there probably won’t be for at least another week. This trial, Lawson vs. GrubHub, is looking to determine whether or not plaintiff Raef Lawson, an ex-GrubHub driver, was misclassified as an independent contractor while delivering food for GrubHub. Those who work as 1099 contractors can be their own bosses, meaning they can set their own schedules, and decide when, where and how much they want to work. Being a 1099 contractor can also be a solid, lucrative side-hustle because you could theoretically work for several companies at once. As noted in this trial, Lawson also delivered food for other gig economy startups, including Postmates. For employers, bringing on 1099 contractors means they can avoid paying taxes, overtime pay, benefits and workers’ compensation. 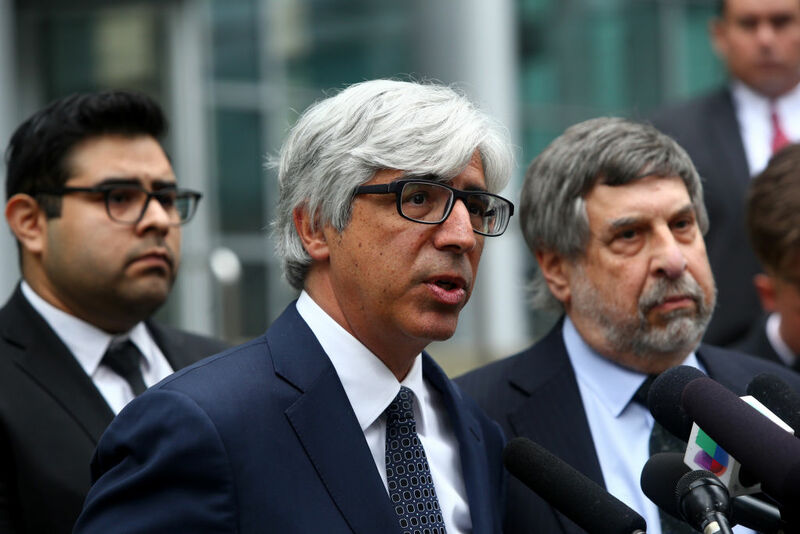 Although Lawson only seeks a small, estimated sum of $586.56, the result of the trial could potentially affect the employment models of companies like Uber, Lyft, Postmates, Caviar, DoorDash and many others. On day one, I noticed a member of Uber’s employment counsel team watching closely, taking notes about the trial. That makes sense, given Uber has found itself as the defendant in similar lawsuits that have ultimately been settled before needing to go to trial. Lawson’s lawyer, Shannon Liss-Riordan (pictured below), has spent a good chunk of time in this trial focusing on the amount of control she perceived GrubHub to have over Lawson during the time he delivered food for them. She’s trying to prove that Lawson’s employment met the conditions of the Borello test, which looks at circumstances like whether the work performed is part of the company’s regular business, the skill required, payment method and whether the work is done under supervision of a manager. The purpose of the test is to determine whether a worker is a 1099 contractor or a W-2 employee. Liss-Riordan has pointed to incentives to keep acceptance rates high, a system where GrubHub employees can track drivers, supposed “ghost orders,” a scheduling system that makes it difficult to get desired shifts and priority scheduling — something GrubHub COO Stan Chia testified he’s not familiar with, but something former GrubHub driver care specialist Tj O’Shae and Lawson described in their testimonies. In his testimony, Lawson spoke about the acceptance rate hustle and the effect of ghost orders. He further explained that maintaining a high acceptance rate would make him eligible for the hourly rate, which he said at one point was $15 but later went down to $11. A perfect acceptance rate, according to Lawson, meant he and other drivers would be eligible for priority scheduling and qualify for a weekly bonus, which was an extra $2/hour up to 40 hours, he said. Priority scheduling, if it exists, matters because Los Angeles, where Lawson drove for GrubHub, “was one of the most competitive markets for shifts that we had,” O’Shae said in her testimony. Drivers would describe the process to get shifts as a “mad scramble,” she added. 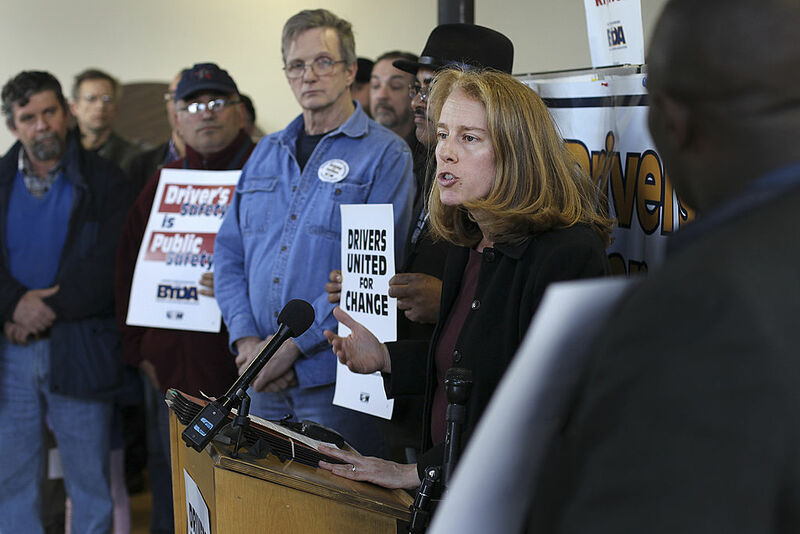 With these alleged ghost orders affecting the acceptance rate of drivers, Liss-Riordan believes GrubHub used “ghost orders” to keep drivers “on their toes,” she said. By allegedly keeping drivers on their toes, the drivers would in theory be more inclined to accept every order they received. One of GrubHub’s mission’s in this trial is to prove delivery is not part of its core business and that its drivers were free to essentially do whatever they wanted — meaning they didn’t have to report to anyone. Both of those elements are factors in the Borello test. According to Chia, delivery is not part of GrubHub’s core business and it never has been. “It is still to be the premiere marketplace connecting diners with restaurants,” Chia said. Chia spoke about the value of GrubHub as a marketing and discovery tool for restaurants, noting how GrubHub enables diners to discover restaurants they wouldn’t otherwise know about. GrubHub began testing food delivery in 2014, ten years after it launched. In 2015, GrubHub officially started offering delivery as a service to restaurants that don’t have their own delivery services. “It’s a service we built out at the request of restaurants,” Chia said. GrubHub merged with Seamless in 2013 and last month announced its intent to buy Eat24. Both of those companies also offer on-demand delivery. Still, Chia said the company is focused on the marketplace aspect of the business and is “not proactively trying to grow” the delivery portion of the business. Chia later spoke about GrubHub’s business in California, and how GrubHub only facilitates delivery in five of the 200+ markets in which it’s active. He said the delivery portion makes up a minority of GrubHub’s overall business. In cross-examination, Liss-Riordan asked why GrubHub’s acquisition strategy seems to suggest it highly values on-demand delivery companies. Chia noted that Eat24 doesn’t facilitate deliveries, but rather relies on the restaurant to supply their own delivery people. “I don’t know that I would say we’re doing any of this to grow a delivery business,” Chia said. And while the majority of customers who order food through GrubHub have it delivered, Chia said, the majority of those delivery orders are handled by restaurants and their own staff. This is all to say that GrubHub itself does not handle much of the delivery process itself, but rather the facilitating of it. In his testimony, Chia also spoke about how drivers like being independent contractors. In cross-examination, Liss-Riordan brought up a lawsuit in which more than 7,000 GrubHub drivers are saying they were improperly classified as 1099 contractors. She asked if Chia was aware of that, to which he said he was not personally aware of the number of claims. “I’m aware broadly of lawsuits against us,” he said. This week, GrubHub will be back in court. Throughout the rest of the trial, we’ll hear from Rudy Mendoza, who worked as a general manager in Los Angeles during the time Lawson drove for GrubHub, GrubHub Director of Driver Network Operations Bill Francione, a custodian of records for Postmates and others. If you’re wondering why Postmates would get dragged into this, it’s because GrubHub’s lawyers believe Lawson “figured out how to game the system with Postmates just how [he] figured out how to game the system with GrubHub,” Michele Maryott, another lawyer for GrubHub, said. It’s not clear what yet is happening with that little mini-trial around Lawson’s work ethics at Postmates and how they relate to his work ethics at GrubHub, but I’m sure that will come up again this week. In the grand scheme of things, what happens in this trial could potentially affect other gig economy companies and the types of employment models they choose to use with their delivery workforce. Some companies, recognizing that some people don’t want to be independent contractors, have already made the switch from 1099 to W-2. Those who work for Munchery and Instacart, for example, are classified as W-2 workers. Though, Instacart only classifies its full-service workers (those who shop and do deliveries) as W-2 in certain markets, while it still employs those who just do deliveries as 1099 contractors. Stay tuned, but in the meantime, here’s a look at the employment models some gig economy companies use.